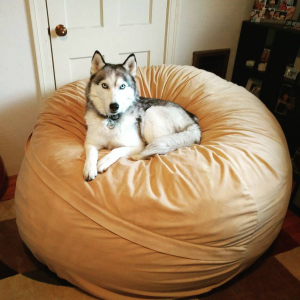 Love sac for sale, so thought I’d share. – Loki Lives! Love sac for sale, so thought I’d share. Loki decided to make himself at home. Decided to use this picture as my for sale photo for the love sac. He might be sad to see it go, but it is just too big and takes up half my guest room. Previous Previous post: Hello recent visitors!